Weldon Home Exteriors, at 770-932-6568, is considered a Preferred Remodeler by James Hardie Corporation, maker of Hardie Plank Siding, and does expert installation of Hardie Board products, Simonton thermal pane windows, Trex decks, Dry Snap Under Deck covers, gutters, house painting with Sherwin-Williams products or any exterior home remodeling project requiring expert installation and personalized attention to detail. 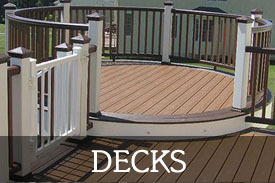 Licensed and insured with warranties on materials and labor. Family owned and operated. No money is required up front. Free estimates at 770-932-6568. Serving the Greater Atlanta area, specifically Gwinnett, North Fulton, Forsyth, Cobb, and Cherokee Counties in Georgia.